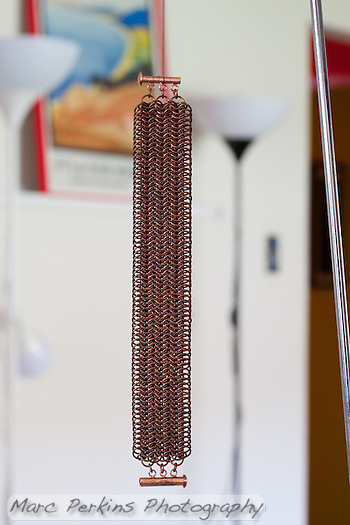 A european 8-in-1 copper chainmail bracelet with a sliding clasp. For the purposes of this post, note the background: it’s seamlessly black, with nothing at all visible. And that background was created with no work at all in Photoshop (other than removing a string I used to support the project) – it was created solely by careful placement of off-camera lights. As the method is pretty neat, I thought I’d show you how I did it. The first technique most people think of for getting a black background is to, well, put something black behind the object. While this works, it requires careful lighting and spacing to ensure that the black object doesn’t become visible (as more than just solid black) in the image. I did just this outdoors with my amaryllis flower bud images, but I had to find flower buds with enough shaded space behind them to hang a black T-shirt on a spare chair well behind the depth of field of the image, and then whenever stray light hit the T-shirt you could see the folds in the fabric. Annoying. The bracelet seen in natural room lighting in my "studio"; the metal rod on the right is the stand the bracelet is hanging from. That is the exact positioning used for the final image you saw earlier, and yes, that is my living room wall 10′ behind the project. And a brightly colored lithograph. And IKEA lamps. New feature alert: I’ve always enjoyed reading other photographers’ “behind the scenes” and tutorial posts, so from now on I’ll occasionally post them. This post focuses on the “studio” and exposure blending techniques I used to create a macro image of a poinsettia flower. Last month I wrapped up a three-post series on poinsettias (post 1, post 2, and post 3). The images for the first two of these posts were taken back in December in an Orange Coast College Ornamental Horticulture greenhouse, which was a great location to work in as it had slightly directed diffuse light (sun shining through semi-opaque panels at the top of the house) and hundreds of plants to hunt through for specimens. Unfortunately, though, poinsettias have separate male and female flowers, and only the male flowers were visible during that shoot. Thus I had to keep a plant at home and wait. About a month later the female flowers had emerged, and I was able to get some images and finish the series. The highlight of the series (for me) is this closeup on an inflorescence that demonstrates all of a poinsettia flower’s anatomy in a single image. A single female poinsettia flower with stigma, style, and enlarged ovary can be seen emerging from its involucre (cluster of bracts fused together) on a thick pedicel (stalk). Also emerging from the involucre are a number of withered male flowers (stamen and anthers both visible) that still have yellow pollen on them. The involucre has a nectar gland emerging from it (that looks like two yellow lips). The entire inflorescence (involcure, male flowers, and female flower) is growing up from a stem's branching point, where a large red bract is also emerging. The red leaves surrounding the inflorescence (mostly out of focus) are also bracts. The scale bar (at bottom center) is 5mm long. Getting the shot was not trivial. First, I didn’t have access to the greenhouse, but needed to get similar lighting to maintain consistency between the images in the series. I found good lighting in a room of my house that faces east, and has white curtains and bright walls. In the early morning the sun hits the curtains and diffuses through the room nicely (while maintaing some directionality to the light). I used my Canon 60mm ef-s macro lens in manual-focus mode, and determined the base exposure and set a custom white balance in-camera using a gray card (see this post by Greg Basco for why setting a custom in-camera white balance is useful). Said gray card was photographed out of focus, so it also served as a test for dust spots (which can be deadly during exposure blending for depth of field). I’m tired of taking macro photographs with my camera hanging down from the tripod, so I supported the plant on a chair a few feet from the window, with my camera in between the window and plant. 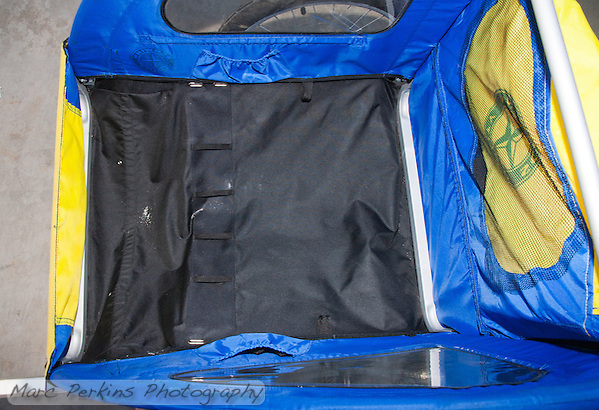 This allowed me to move either the plant, tripod, or tripod head to adjust framing. Framing closeups of plants is tedious, as leaves and other structures often get in the way and cover up important anatomy. I put some leaves underneath the lens to corral them, but a few others kept popping up annoyingly. 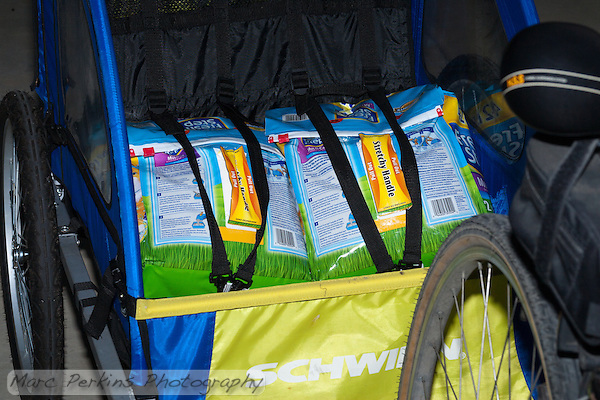 My solution was to weigh them down with my lens cap. 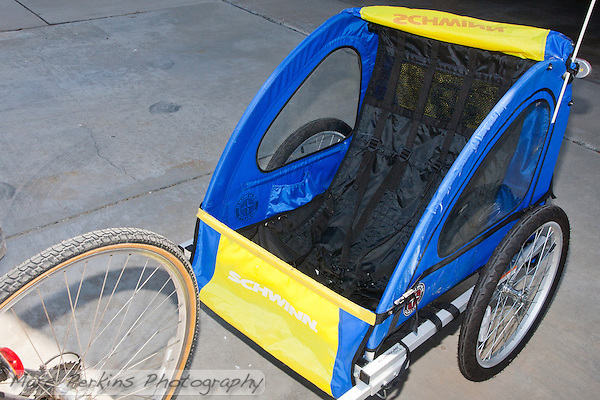 High tech, I know. The background was another issue. It was clearly going to be out of focus, but I needed the color to not be glaring. For the first two shoots in the greenhouse I simply grabbed an additional poinsettia or two and put them behind the first plant. Voila! Instant matching background. For this shoot my first background was a white closet door. The white became a bit jarring for the composition above, though, as there were just a few white spots shining through the red bracts. So, I grabbed a black shirt and hung it on a chair behind the plant. The background disappears, and you probably didn’t even know there was a black background behind the bracts (which is exactly what I wanted). 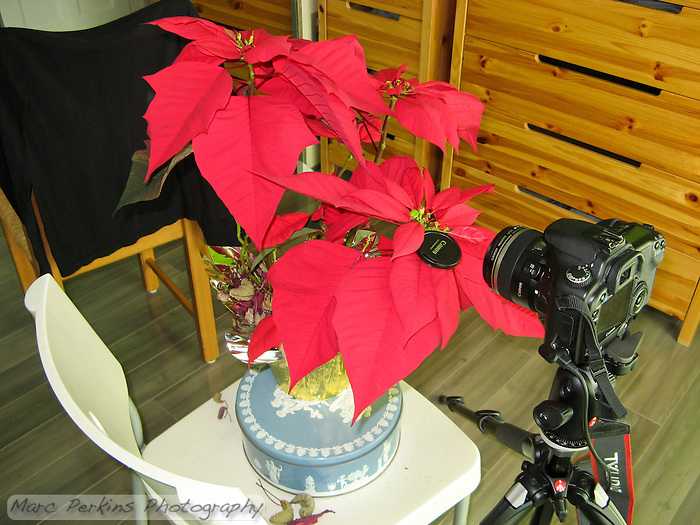 The setup for my poinsettia flower closeup image. 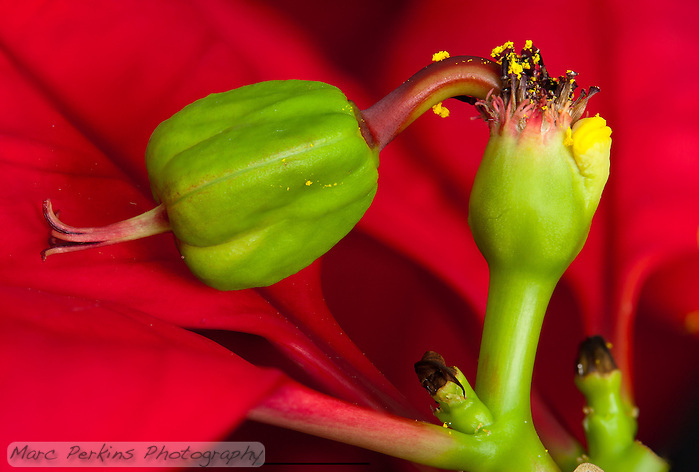 My Canon 30D is sitting on my tripod with a cable release and my 60mm EFS lens pointing at a poinsettia that has a mature female flower emerging from the involucre. Behind the potted plant is a chair with a black T-shirt hanging on it to act as a background. Next came the old debate of settings. I wanted sharpness and depth of field, and didn’t care a whit about exposure time thanks to being indoors and able to turn off the wind (read: turn off the heater). I’ve found that the lens is sharpest around f5.6 – f8, but at the focal distance I wanted to use my depth of field at that aperture is miniscule. For the first images of the day I was able to get everything I wanted in focus composed in a single plane, and thus I pushed the aperture to f11 and f13 for a bit more depth of field in a single image with acceptable sharpness. But for the image above I needed more depth of field, thanks to that giant ovary and large cluster of male flowers. Thus, I fell back on my old standby: image blending for depth of field. Greg Russell has a great tutorial on image blending which summarizes the technique beautifully. The technique I used boils down to this: I started by setting the focus and exposure to manual and focusing on the closest subject I wanted sharp (the pollen grains on the front of the ovary). I then took a series of images at f8, adjusting the focus backwards by as small a margin as I possibly could as I focused through the range I wanted sharp. Using a macro-rail tripod head to change the camera’s position as I changed focus would have been ideal (since the field of view of the lens changes as it focuses), but as I lack a rail slider I couldn’t do that. As a side note, assuming that you don’t have a rail slider, always compose your exposure-blended images at the closest focus you plan to use. That’s the focus with the narrowest field of view, and thus the one that will most likely limit your cropping post-exposure-blend. I then imported all the RAW images into Lightroom 3.6 and did my typical adjustments (white balance, exposure, black point, brightness, contrast, saturation, noise reduction, spot removal, etc.). I shot a series of 11 sequential focal planes on this particular composition, but ended up choosing only the first eight to use for the final product, as the last three put distracting elements of the flower into sharp focus. I know some people who exposure blend try to get everything in focus (creating infinite depth of field), but I often find this to be distracting; having the background and foreground out of focus provides depth to the image (and also isolates the subject). 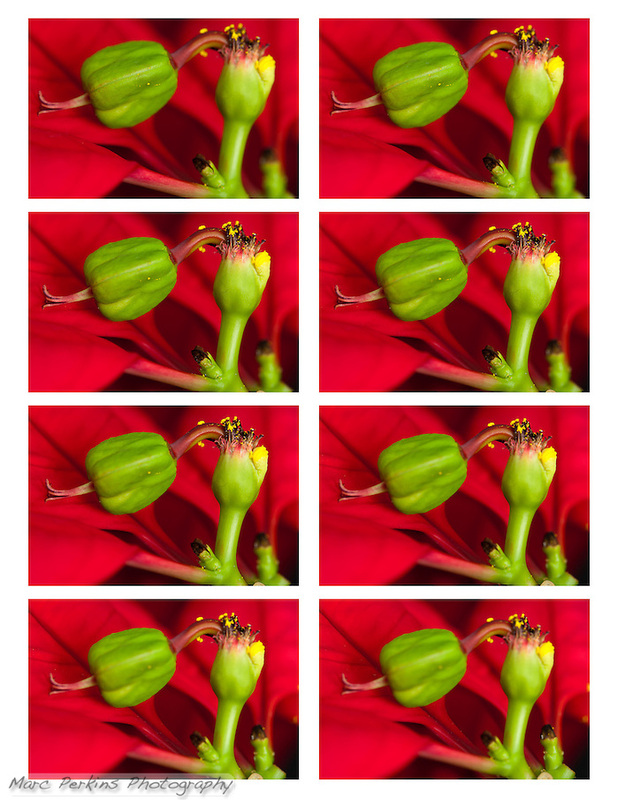 Eight separate images of the same female poinsettia flower, each focused on a slightly different plane. The closest-focused image is in the upper-left; the furthest-focused image is the lower-right. I used Lightroom’s “Edit in Photoshop as layers” feature to get the adjusted images into Photoshop CS5, aligned the layers using Photoshop’s built in tool (Edit / Auto-Align layers), and then blended the layers for depth of field (also using Photoshop’s built in tool: Edit / Auto-Blend layers). Close-in views of two blending errors Photoshop CS5 made while blending my eight-image Poinsettia female flower image. On the left Photoshop has selected a line of the plant stem at the correct focus, but then used incorrect focal planes for the remainder of the stem (both above and below the in-focus portions). A single image has everything from the in-focus portion up perfectly in focus; Photoshop has just chosen … poorly. On the right Photoshop has added what I call “points” or “bars” of light, blending errors (often near the edge of an image) where Photoshop inexplicably adds in a bright streak or point. To fix these I un-did the blending, found the incorrect layers Photoshop had used, and erased the parts of those images Photoshop had selected. Then I re-blended the image, checked again, and continued this until I got an image I was satisfied with. To add the scale bar I captured a separate image with a ruler in the frame next to the flower (after I had finished shooting, since putting the ruler in the frame could easily damage the flower), then copied that image as a layer onto the final blended image and made sure the flower was precisely the same size in the ruler image as in the blended one. A quick use of the line tool got me a subtle scale bar that I could move wherever I wanted in the blended image. I chose to put it in the shadows near the bottom, so it’s visible, but you have to look to find it. And that’s it; head back to the top of the post to see the final product! Using this layer blending technique is a bit cumbersome, but it allows me to maintain optimum image sharpness while precisely controlling the depth of field (by choosing how many focal planes to blend together into the final image). It’s worth doing, but only for those images that really need it. Thanks for reading! I’d love any suggestions, and would be happy to answer any questions. Even, diffuse lighting allows for the entire body to be viewed, but textures and height have been minimized. My best guess is that this is in _Physcia_, but I'm not sure. 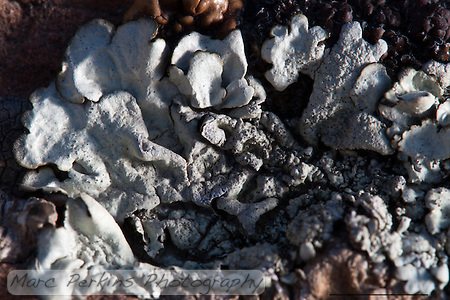 This lichen was found in Vasquez Rocks County Park in Los Angeles County. That lichen has gazillions of lines and textures on its body, but the diffuse shade lighting isn’t helping show them 1. Reflected light added from the left of the image. 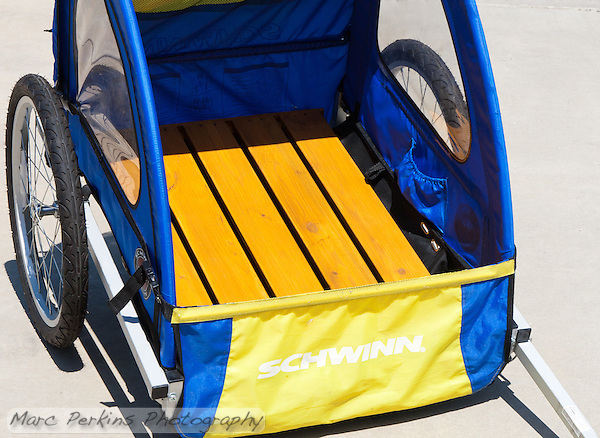 The scale bar is 5mm. In that image I’m reflecting light in from the left of the image, and holding the reflector a good distance away from the rock (nearer to the camera) to shorten and soften the shadows. 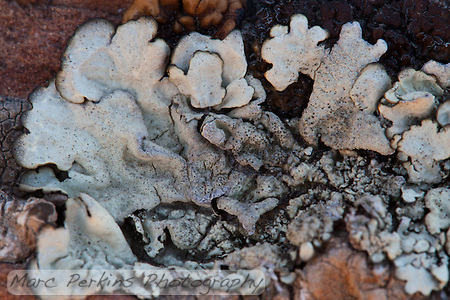 The textures of the lichen are brought out beautifully. Reflected light added from the right of the images. The scale bar is 5mm. In that shot the reflector’s now to the right of the lichen, and lower to the rock. The lichen looks, on first glance, completely different. 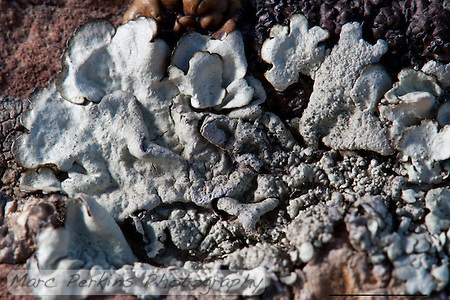 In fact, it looks so different that I included two pictures of the same lichen in my introduction to lichen post; did you notice they were the same?